Home > Uncategorised > Will England get off to a winning start this summer? Will England get off to a winning start this summer? 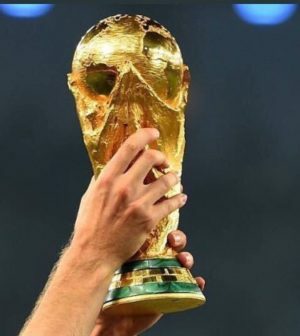 32 nations are heading to Russia next month to battle it out for the most prestigious prize in football: the World Cup. Germany are the defending champions following their 1-0 success in extra-time over Argentina four years ago and would match Brazil’s record as the all-time record winner by going all the way again in 2018. Brazil are actually the favourites in Russia, just as they were on home soil four years ago. Joachim Low’s Germany are only narrowly behind according to the bookmakers’ odds. As for England, very very few people are backing them to go all the way. In fact, the general consensus is if the Three Lions get further than the second round would be an achievement in itself. Gareth Southgate’s side have been handed a favourable draw in that they start with Tunisia and debutants Panama in their group, before facing group favourites Belgium. In fact, Belgium are the sixth favourites to win the 2018 World Cup with the bookmakers. Star striker Harry Kane found some form at the end of the 2017-18 Premier League season after an ankle injury threatened to spoil the Tottenham Hotspur striker’s summer. England will generally be relying on his goals as neither Jamie Vardy nor Raheem Sterling have a very good record at international level. England’s biggest problems may well be at the back. It is still uncertain who will be the first choice goalkeeper, though between Jordan Pickford, Jack Butland and Joe Hart, there’s not exactly much choice on hand. Defensively the individuals that Southgate has to choose from are hardly the who’s who of world football. The manager himself hardly has a good record either. Gareth Southgate was given an opportunity at youth level despite taking Middlesbrough down from the Premier League in his only tenure as a club manager. However, England may have some short-lived joy as the bookmakers are expecting the 1966 winners to make it past the group stage. They kick off their tournament on Monday 18 June against Tunisia with the majority of tipsters swaying towards the Three Lions in the Tunisia v England tips, with Southgate’s side very short odds to start with a win. Let’s not get too carried away though – England were eliminated after only two games four years ago when Roy Hodgson’s side were beaten by a below par Italy, and then Uruguay, before being held 0-0 by Costa Rica in their final group stage match.